If you have cats, dogs or both in your home then you know how frustrating it can be to keep pet hair at bay. 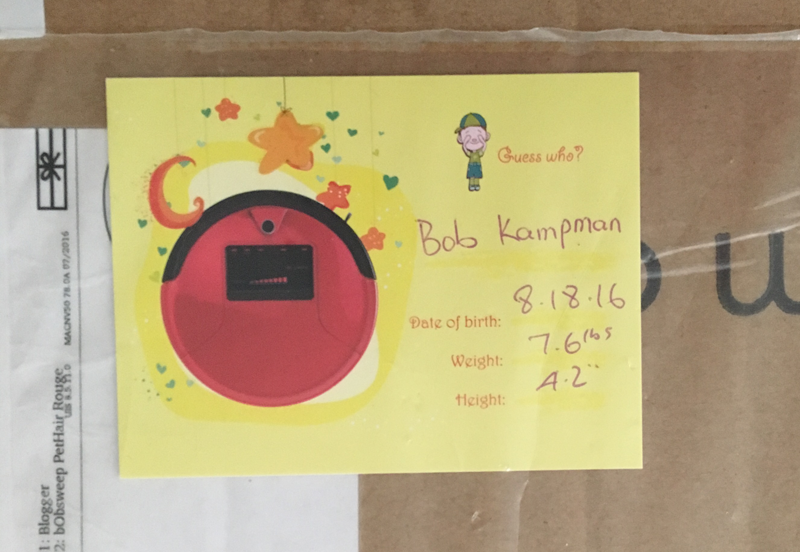 I was so excited to get sent a bObsweep PetHair Robot Vacuum Cleaner and Mop to test and review. These robot vacuums are all the rage and I was anxious to jump on the bandwagon. 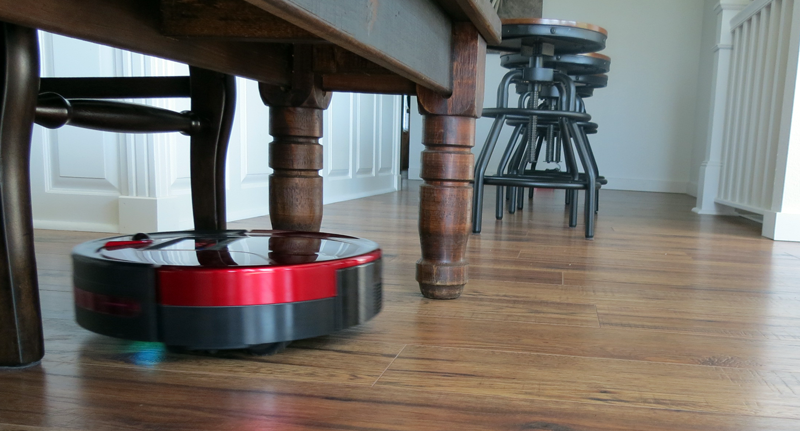 bObsweep PetHair will be your new friendly robotic vacuum you can’t live without. Bob will sweep up your pets’ discarded dander in no time thanks to his amazing features and large dustbin. He’ll even mop your laminates and tiles. What about those pesky paw prints? Have no fear, Bob is here! He’ll increase his vacuum and brushing power to wipe those clean. I love how Bob can not only clean our tile but our hardwood and even the carpet. The bObsweep PetHair will clean up that pet hair and paw prints easily while he simultaneously sweeps, vacuums, mops, and UV sterilizes all types of floors. He’ll eliminate bacteria with his trusty UV light to give your floors a clean smile. My floors haven’t stopped smiling! Bob’s 1-liter dustbin is the largest in the industry. That means less time emptying and more time cleaning. I really love how he automatically self-charges so I don’t have to worry about what Bob is up to. Bob is quite stylish and trendy too. He comes in two gorgeous colors: rouge and champagne. I thought the rouge was more fitting for my Bob especially since he looks like he’s always blushing. He’s so luxurious and dapper looking. He’s such a handsome companion. Bob can match the level to any surface with his low-track contouring. 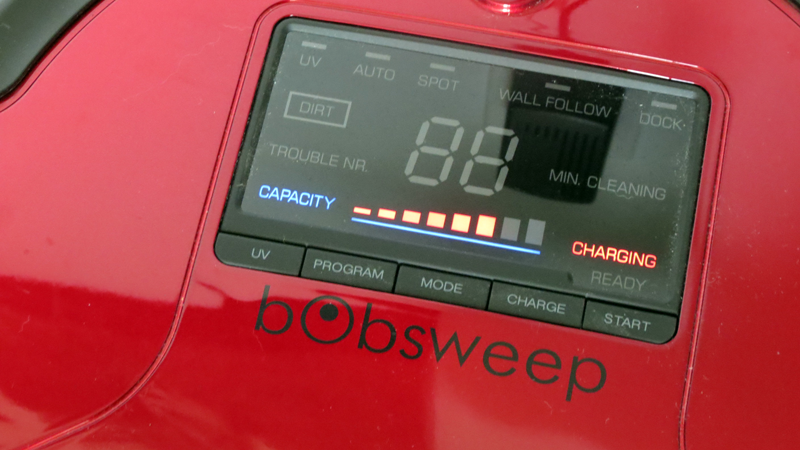 Bob works for over 1 hour and 15 minutes on a single charge. I love that he’s such a hard working man and has a Lithium X-AMPlified battery. Bob even has his own filtration system. Control your new companion with his remote control. Yes, you can control Bob’s every movement and function with his own remote. Bobsweep’s primary competition is the iRobot Roomba. Both Roomba and Bobsweep offer many robot vacuum models at varying price points. I haven’t had a chance to review iRobot yet, but this Roomba guide has a ton of good info. Bob can really reach those hard to get places for me with his side brush. It sweeps along walls, corners, and other hard-to-reach places. Stairs aren’t even a problem for my sweet Bob. He detects edges and drop with his smart edge sensors. He’s so smart that he returns to his charging station when his battery falls below 15%. Owner’s Manual and Quick Start Guide. Bob also has a large, interactive 5×3 inch LCD screen which I love! I love that Bob comes with a 30-day money back guarantee, 1-year warranty, 5-year subsidized repair, and unlimited lifetime after-sale support. Of course, I’d never think about giving up my Bob. He’s such a hard worker and leaves my floors spotless! Bob has really made my life easier. He’s the perfect companion. He cleans for an hour and 15 minutes and then back to his station. What more could a woman ask for? My home being pet hair free is an added bonus! I have a similar Vacuum made by Haier. I love it! Awesome vacuum id love to have one. Truly amazing great to have with dogs. Looks very red and shiny. Would so love this, it sounds like a dream come true! Thank you! I don’t keep an animal in my home but have always wanted one of these sweepers. The one I use doesn’t clean under the furniture . We have a wonderful dog, but with long silky hair. “Bob” sounds very appealing! 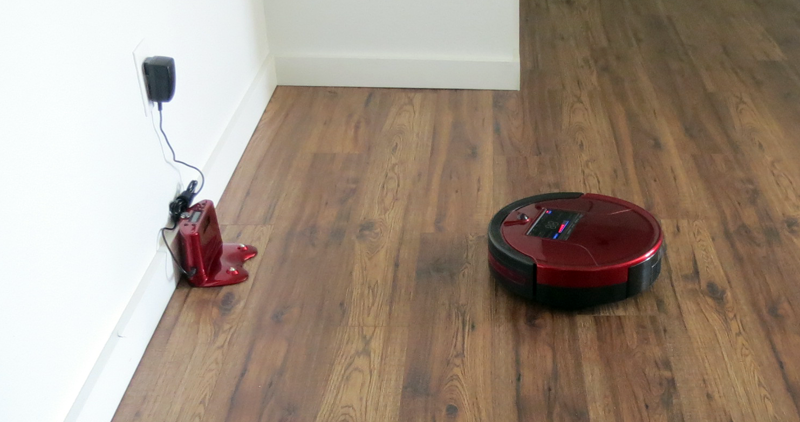 We tried a robot vacuum years ago when they first came out, and it didn’t last long. But Bob sounds a lot more sturdy and long-lasting! I have been reading reviews about these robots and I do want one. We do not currently have a pet but we have all wood floors and to sweep/vacuum and mop is a back breaker. If they perform like all the reviews I’ve read they are worth the money. I’d really love to have a BobSweep to help with our dog’s constant shedding of her long silky hair! I’m intrigued that it also has a mop attachment that I can use on my entry tile and laundry tile! I like that it comes with extra filters. Actually, it all sounds good. I’d like to get one. I’ve been wanting a good ‘robot vacuum’ for the longest time. Sounds like bObsweep would be a great option for a doggie household like ours! 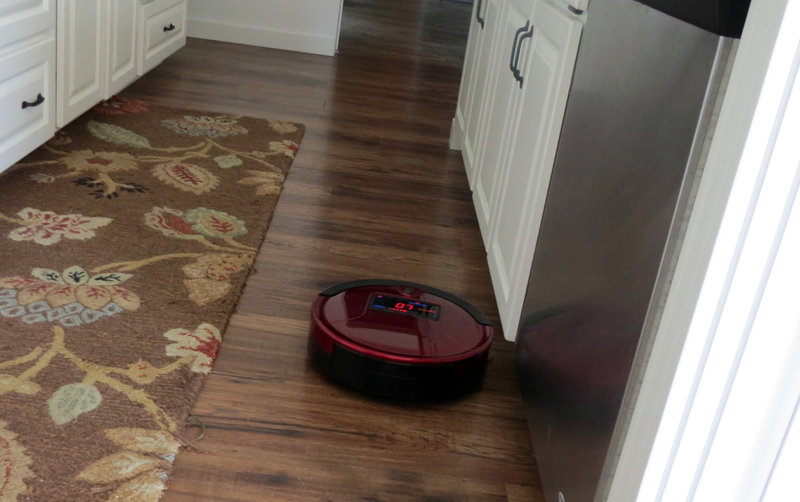 I would love to try using a robot vacuum. I have always wondered if they work as good as people claim. 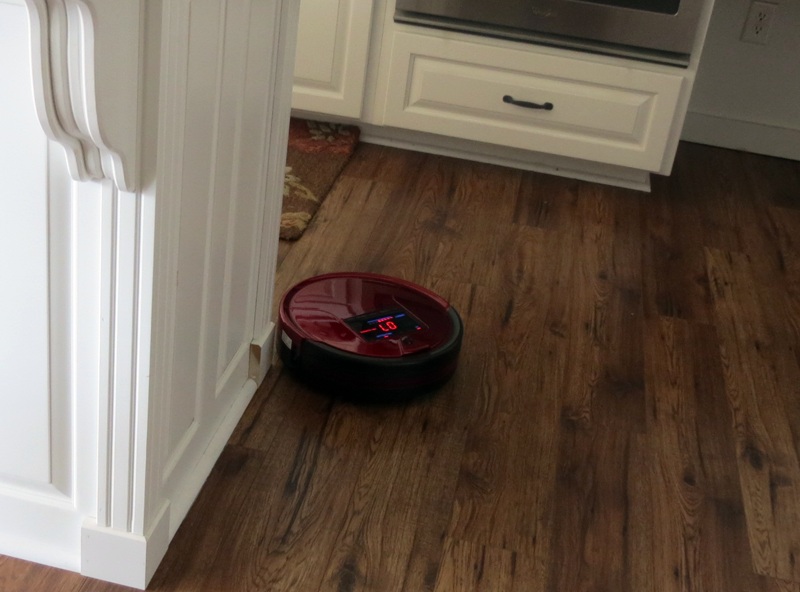 Crumbs and dog hair on our hardwood floors drive me crazy – which means in my house I’m vacuuming every other day. Would SO love to have a bObsweep to make clean-up so much easier! I have all hardwood flooring. I’d love one of these sweepers. This would really be nice to have with pets. I need to tell my sister about this. I had to do a double take. I thought you were talking about a baby. Then I saw 4.2 inches tall and said huh? This is so cool,im in a chair,with this I could still clean . 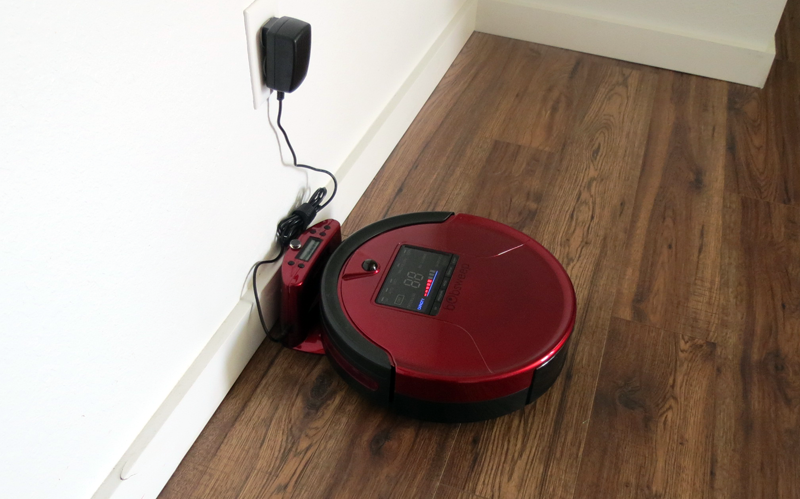 I would love to try using a robot vacuum. My dad wants one of these,he has 2 furbabies. This would be awesome for my upstairs hardwood floors. We have too many pets to keep up on all the hair.